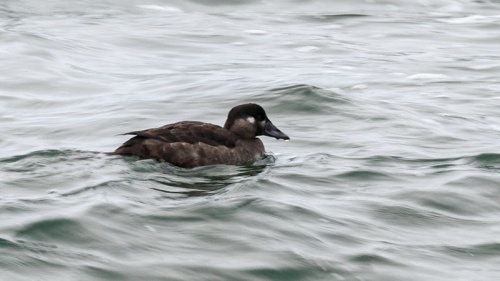 Adult male: Velvety black, less glossy than other scoters, with white patch on forehead and larger white triangle on nape. Bill large, slightly swollen on top and more so at sides; red-orange on top, yellow towards tip, and white on sides apart from square black patch near base bordered above and behind by orange to red. 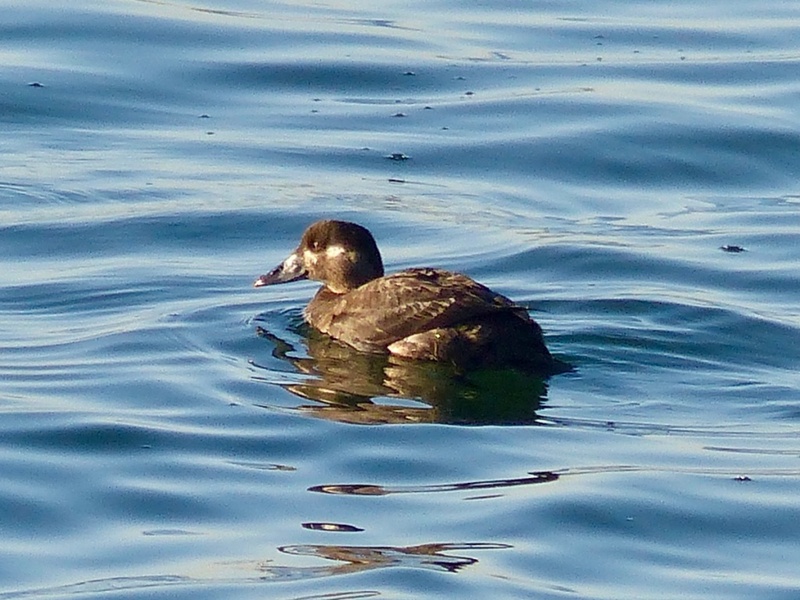 Eyes grey-white to yellow-white; orange-red feet with dusky webs visible when diving. 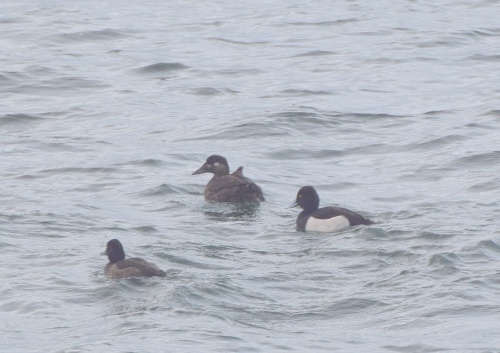 Adult female: Black-brown above and slightly paler brown below, uniform but for some whitish edgings, with 2 whitish patches on side of head—small in front of eye and larger behind and sometimes variably distinct whitish patch on nape corresponding to ♂'s. Legs yellow-orange with dusky webs; bill green-black. 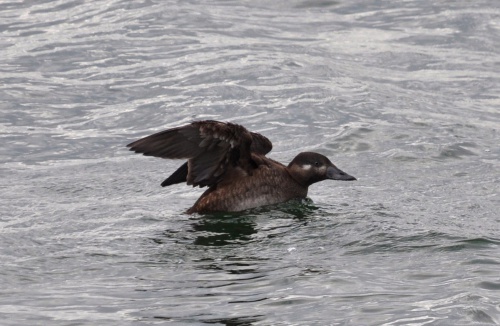 Juvenile & First-winter: Resemble adult ♀, but generally paler and browner with whitish or almost white breast and belly, while, in contrast to Velvet Scoter M. fusca, whitish patches on sides of head often less well-defined or run together; white patch on nape never present. First-winter male: From November onwards, variable number of black feathers on head, neck, upperparts, upper breast, flanks, and undertail, these areas sometimes becoming wholly black early in new year, with small white patch on nape but none on forehead. 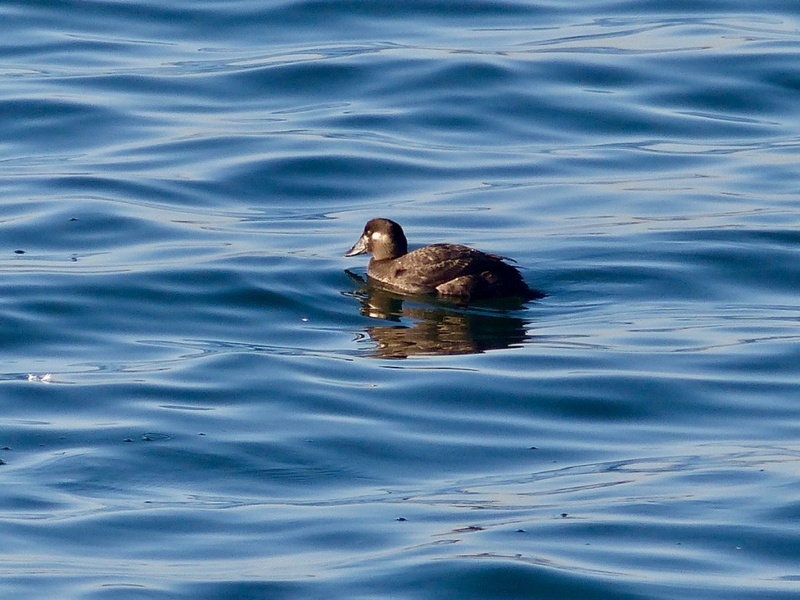 Female Velvet Scoters resemble first-winter and female Surf Scoter but latter lacks white in wing and bill and head-shape important. Breeds on margins of lakes or ponds, in bogs and other wetlands, within or beyond northern tree limit, in dense but not tall vegetation. Winters almost entirely in inshore marine waters. Has been recorded in all months but most likely during winter period. Breeds in North America from western Alaska east into Canada. Winters along both Pacific and Atlantic coasts. Vagrant to the UK but recorded in small numbers most years, usually in coastal sites but there have been a few inland records. 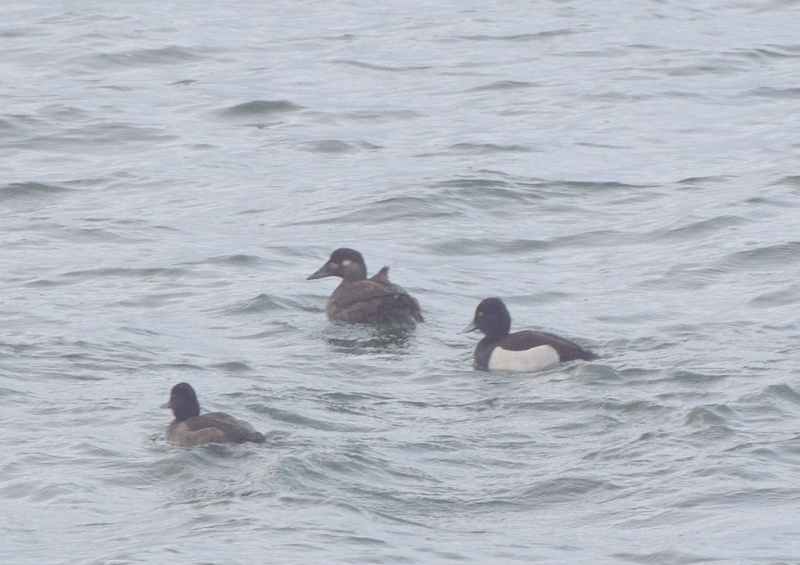 It is an extreme rarity in VC55 with just one record to date. 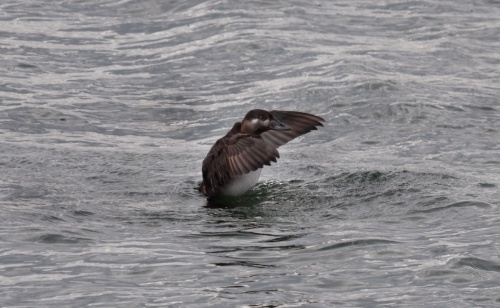 A first-winter bird was found off the dam at Rutland Water on December 27th 2016 and remained into January 2017.